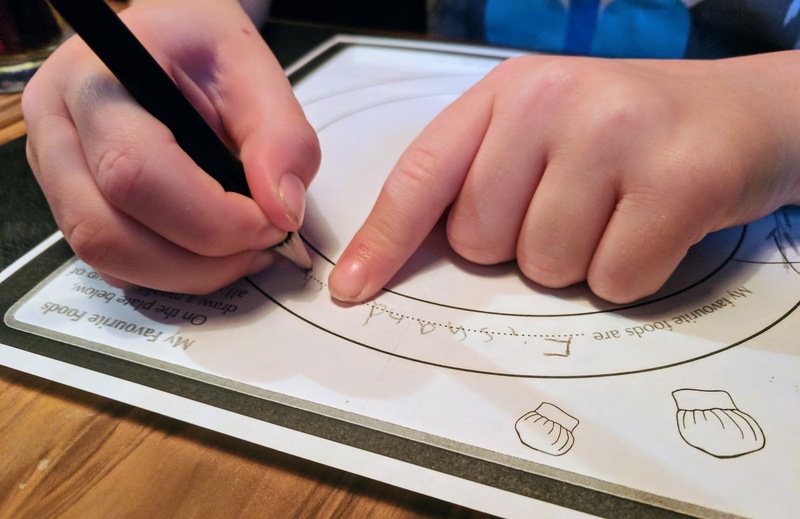 I'd heard lots of good things about Fell's Kitchen in Low Fell so was delighted to receive an invitation to pop along for an early dinner with the kids after school. Low Fell is a little bit of a drive for us from Northumberland and it took around 45 minutes in rush hour traffic but I'm pleased to say, it was worth it. 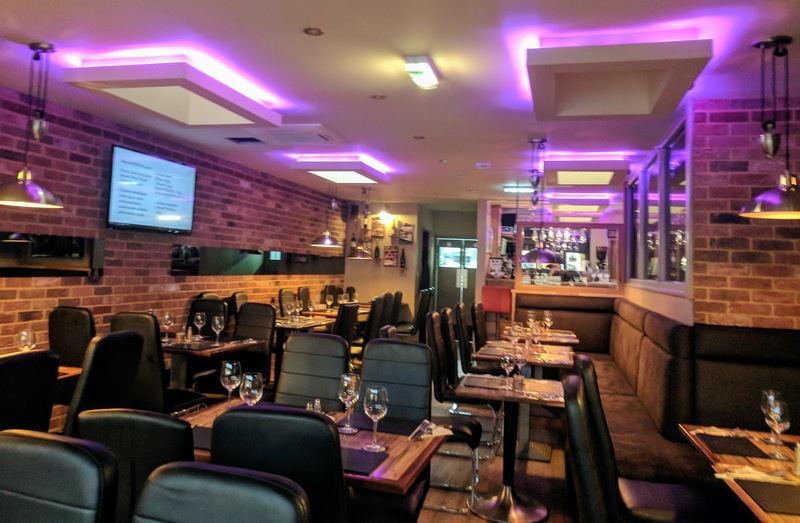 The location of Fell's Kitchen is ideal and a perfect place to pop into for an early family dinner if you're visiting Saltwell Park, the Angel of the North or Team Valley. There is free off-street parking nearby (we managed to get a spot immediately outside) and I noticed the Angel 21 bus passes by too. Blink and you'll miss it! Fell's Kitchen is upstairs and their doorway is located between a Chinese takeaway and a dentist. I love the decor inside and after we were seated the restaurant filled up with families enjoying a mid-week meal. 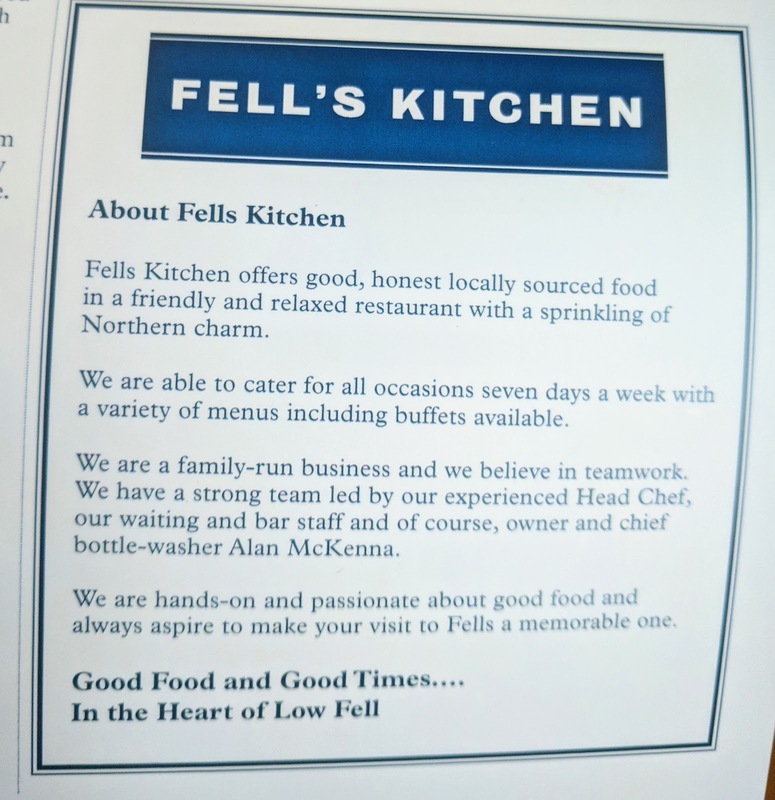 I love the ethos of Fell's Kitchen - "honest, locally sourced food with a sprinkling of Northern charm." 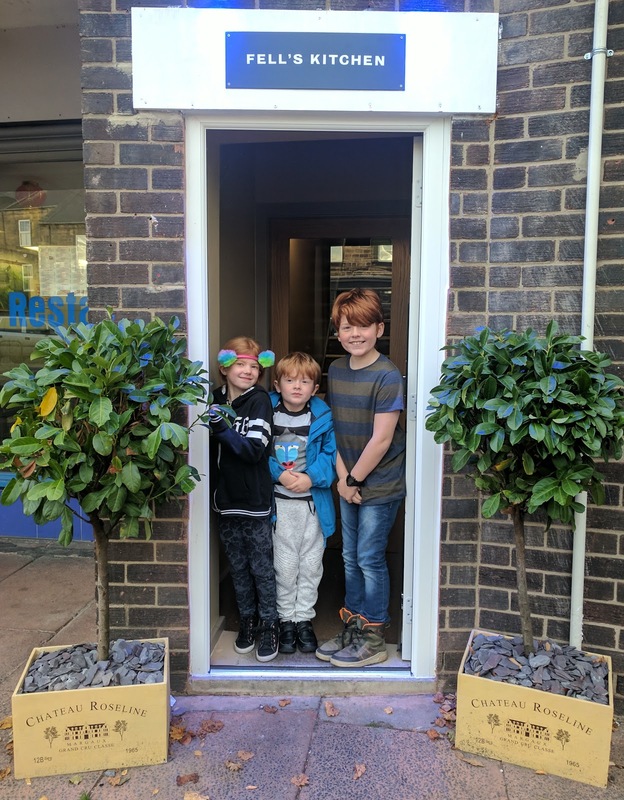 For me what really stood out for us here was the staff - they are all warm, friendly and fab with kids. It's the kind of place where nothing is too much trouble. 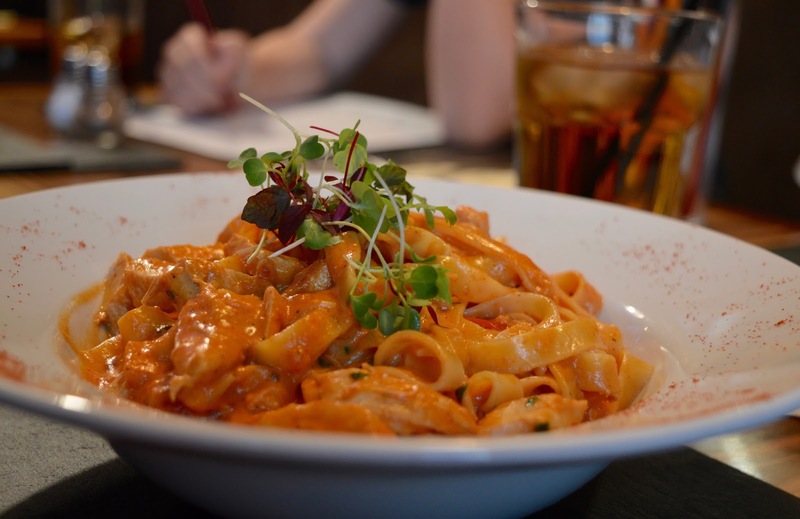 If you dine from Monday-Saturday between 4-6pm you can choose to order from the early bird menu or regular a la carte. I honestly had to look twice at the early bird menu - it's £6.95 for three courses! That is such a huge bargain. 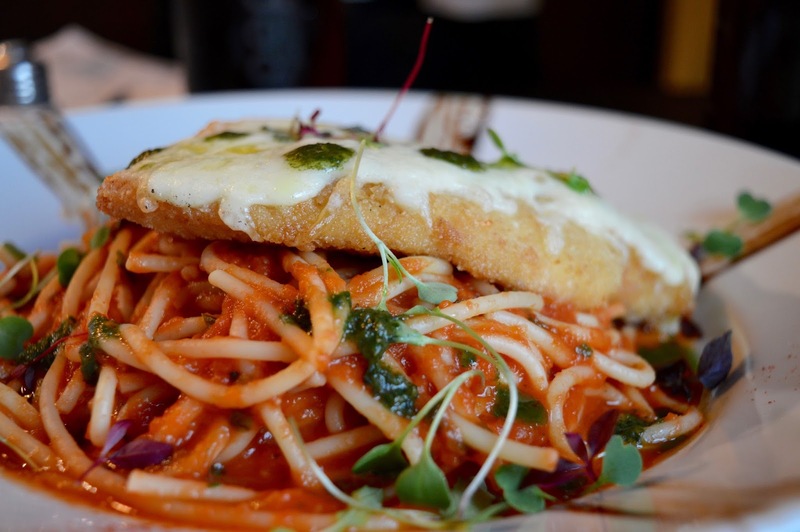 I couldn't resist testing this menu out, especially when my favourite dish Chicken Milano featured. 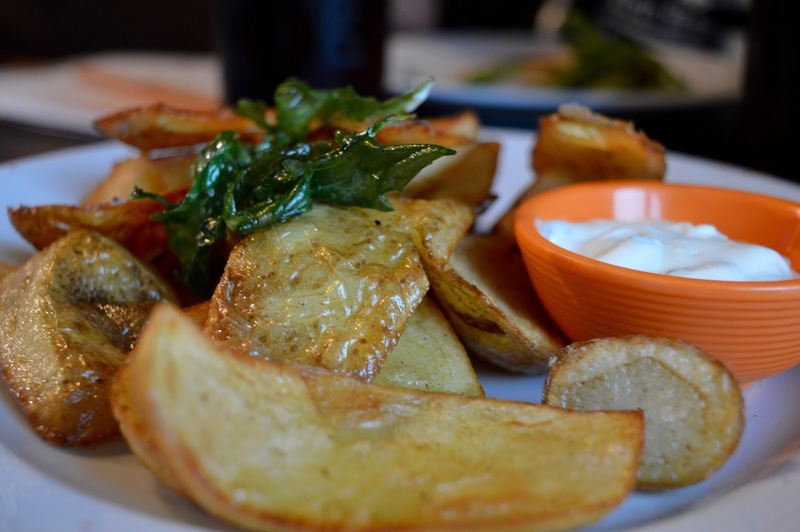 Potato skins to start were a pretty standard affair - it's hard to get potato skins wrong but also difficult for them to 'wow' you. They hit the spot and I had no complaints. Quite a decent portion too. My Chicken Milano was perfect. I could tell the chicken had been freshly prepared and it was lovely and succulent. I normally pay around £12.95 for Chicken Milanese so was honestly astounded that this formed part of the 3 courses for £6.95 menu! Again, the portion was huge and I actually couldn't eat it all. I don't think the pasta was homemade but for the price, I'm willing to let this slip. 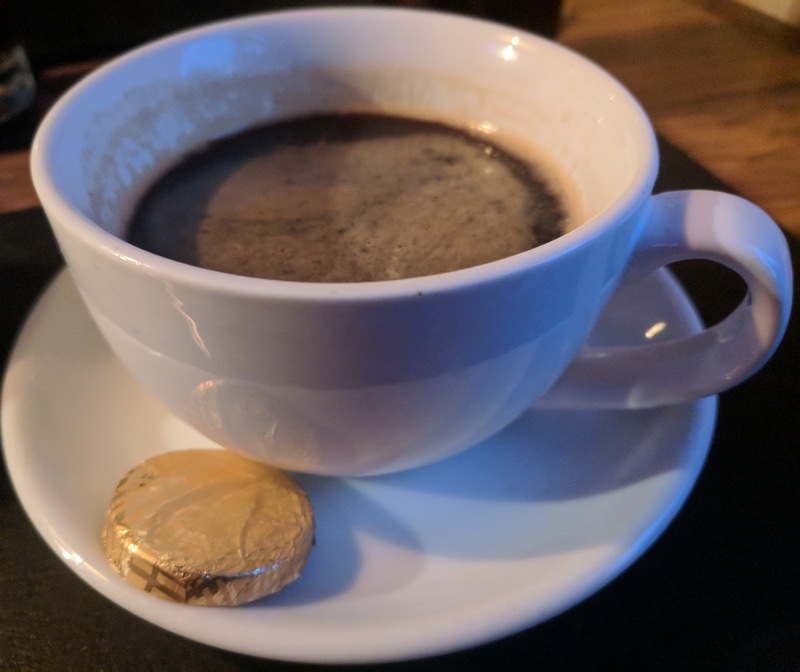 I couldn't manage dessert but was really happy with my coffee and mint whilst everyone else tucked into their dessert. I still can't believe the value this menu offers! Our table was booked for 5:30pm midweek and most of the other diners were families like us. 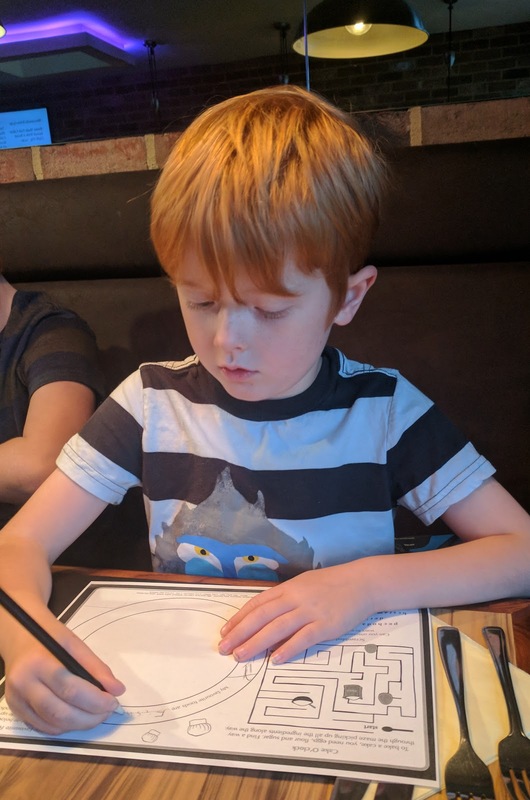 Children are made to feel very welcome and their activity sheet is well thought out with enough activities to keep kids of various ages occupied. 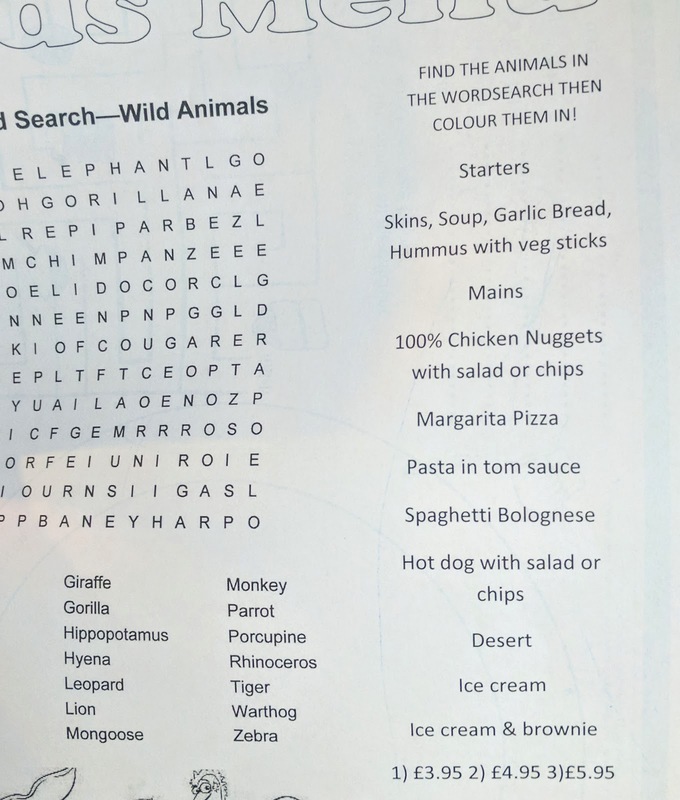 My three enjoyed the word search and drawing their favourite meal between courses. 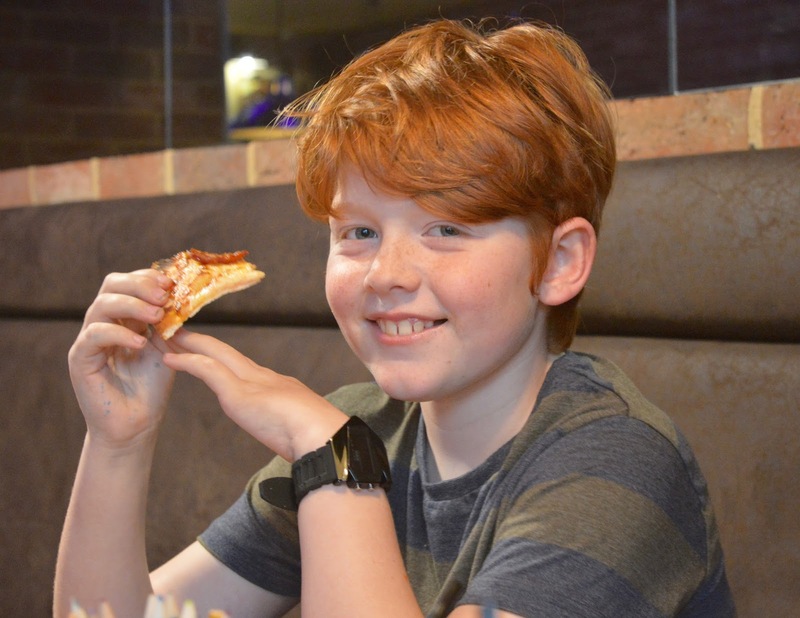 The kids menu is £3.95 for 1 course, £4.95 for 2 or £5.95 for three. There's no filling my kids so of course they opted for three courses. 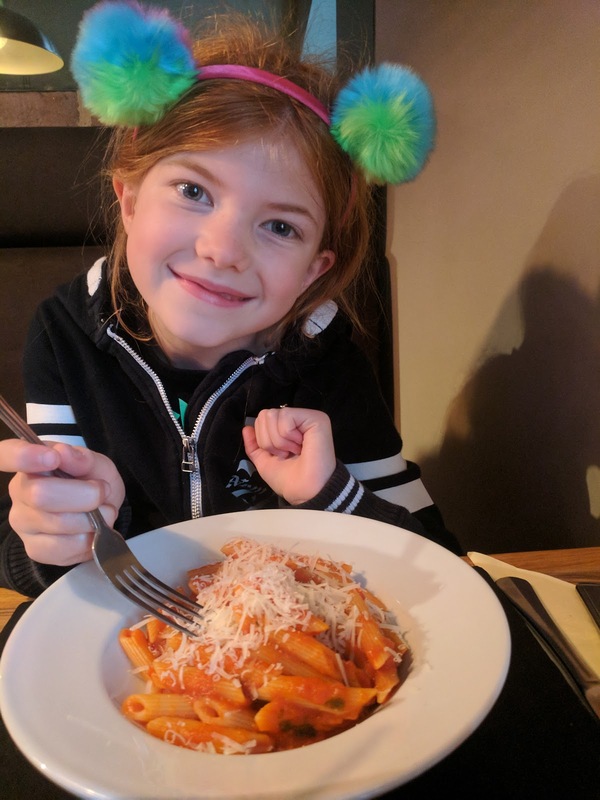 I like that there's an option for just one course though as this is fairly rare in restaurants I find - ideal if you are in a hurry or your kids don't eat much. I liked the variety too and there were some healthy options with vegetable soup, veg sticks and salad all featuring. Not that my three would choose those options but at least the option is there! All three opted for garlic bread to start which was fairly heavy on the garlic but my three like that so enjoyed it. Harry ordered himself a pizza with extra pepperoni and really enjoyed it. 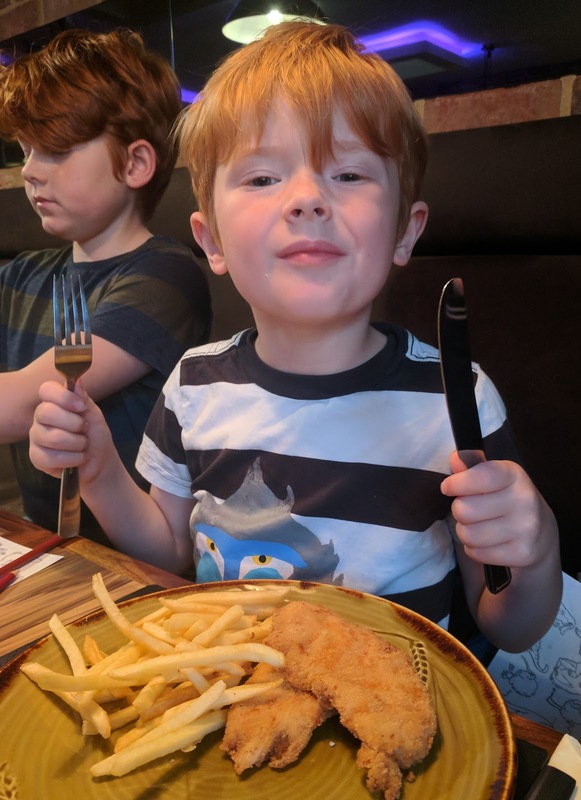 Jack loved his chicken goujons and chips and Heidi cleared her pasta in no time. They all had no complaints and ate every last scrap. 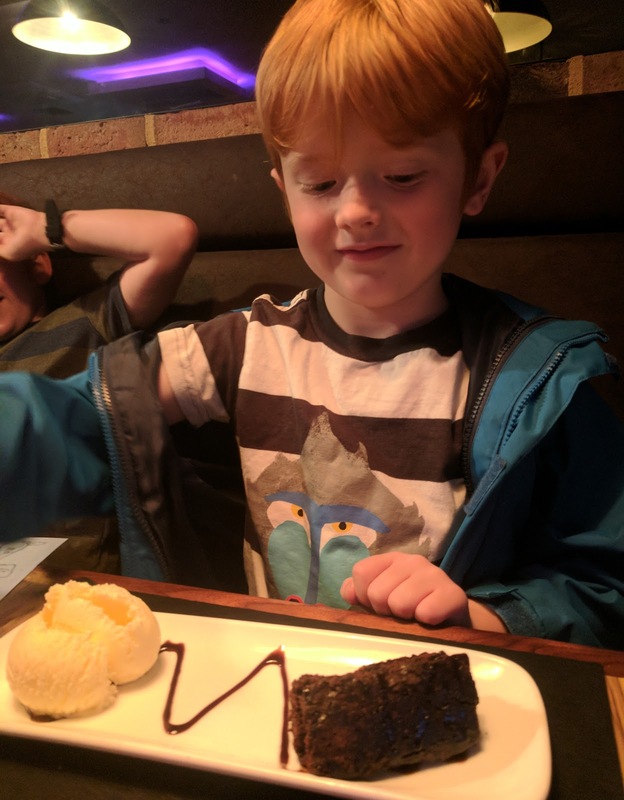 For dessert, kids can choose chocolate brownie and ice cream or just ice cream with various toppings. 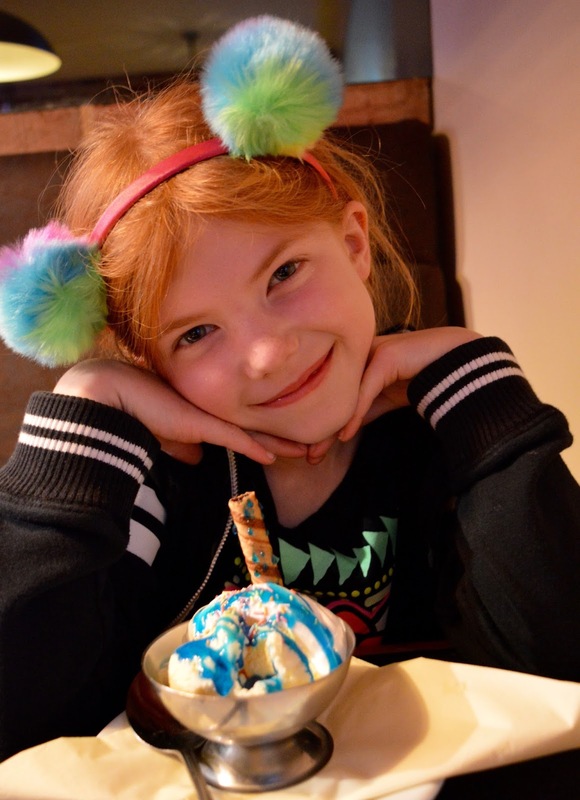 Heidi declared her creation to be called unicorn ice cream! 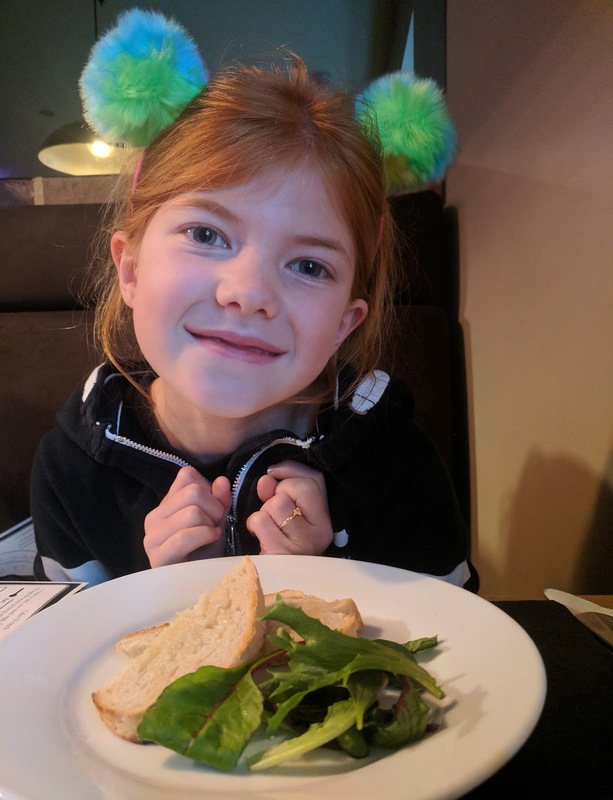 Service was super quick (which is what I like when dining out mid-week with kids) and I think we finished our three courses in less than 90 minutes. Steve had to be different and ordered from the main a la carte. The prices still aren't too bad with Steve's Calamari, Tagliatelle Genovesi and Creme Brûlee coming in at just under £20 in total. Definitely not as much of a bargain as the early bird menu but still relatively good value if you're dining outside of 4-6pm Monday-Saturday. 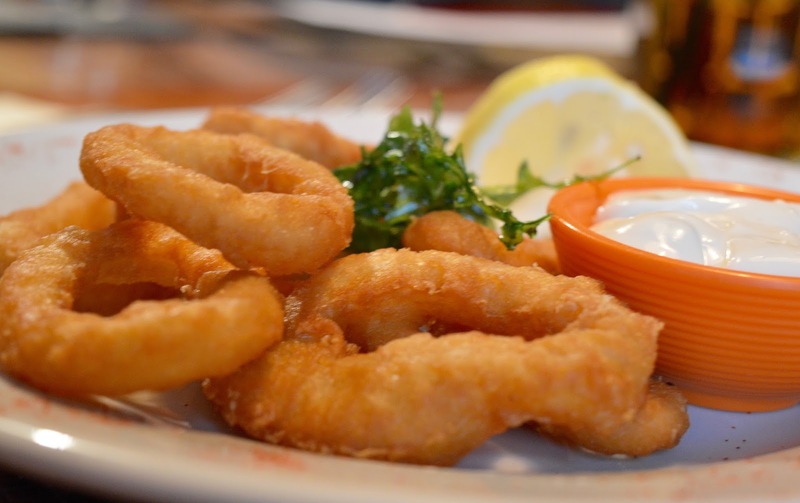 I tried the calamari and it's not the kind of calamari I like - sorry for tmi but I love a tentacle! None of that here and it kind of reminded me of the frozen calamari you can buy from the supermarket. Horses for courses though and Steve really enjoyed his starter. Steve's main dish was his favourite course though - the pasta dish was creamy, filling, satisfying and perfect for a cold autumnal night. 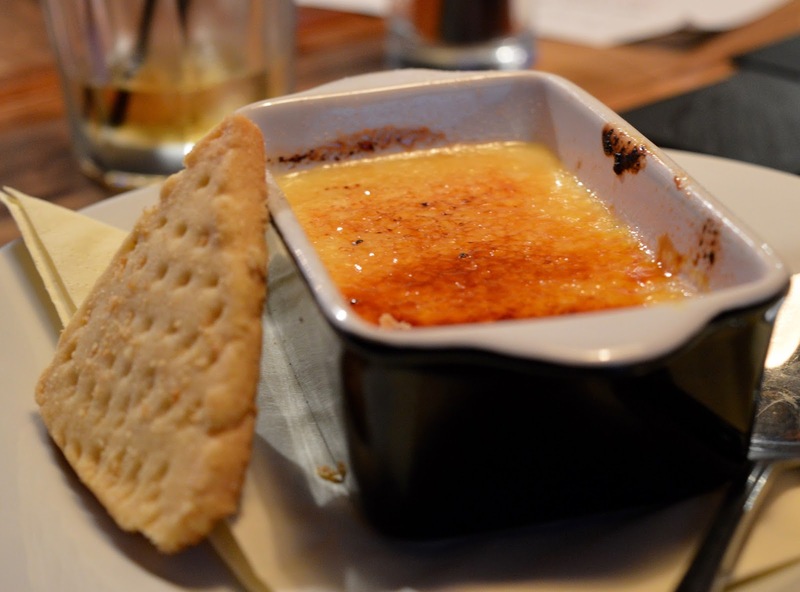 The Creme Brulee was fab too - it was a huge portion, much larger than anywhere else we've ordered this dessert from and easily enough to share between the two of us. 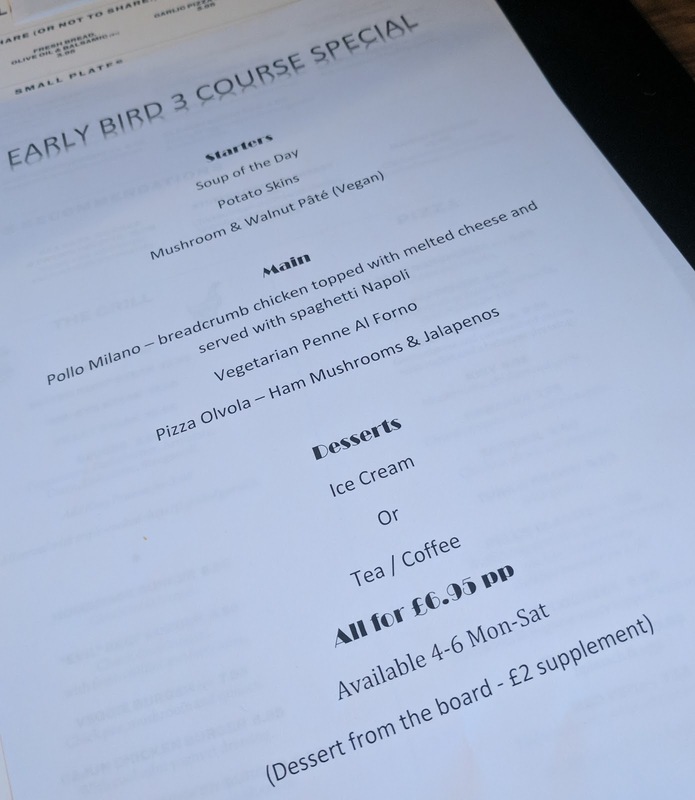 If Steve had opted to dine from the early bird menu, a 3-course meal for the 5 of us would have been just under £32 excluding drinks. I really think you'd struggle to find better value than that! Fell's Kitchen is the kind of place you wish you had in your town. 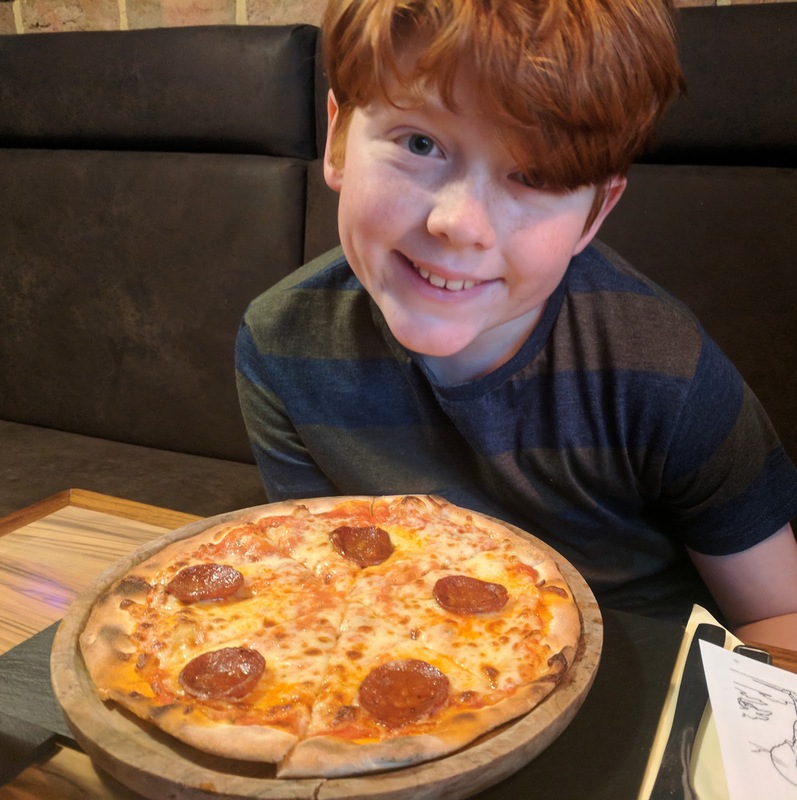 They offer fantastic value with their early bird and kids menu and if they were in my neighbourhood I know it would become our go-to place on those nights I can't be bothered to cook. A 3-course meal here would actually cost us less than a Dominos takeaway between us. The staff are a real credit to the restaurant and I can definitely recommend to families if you're in the area.